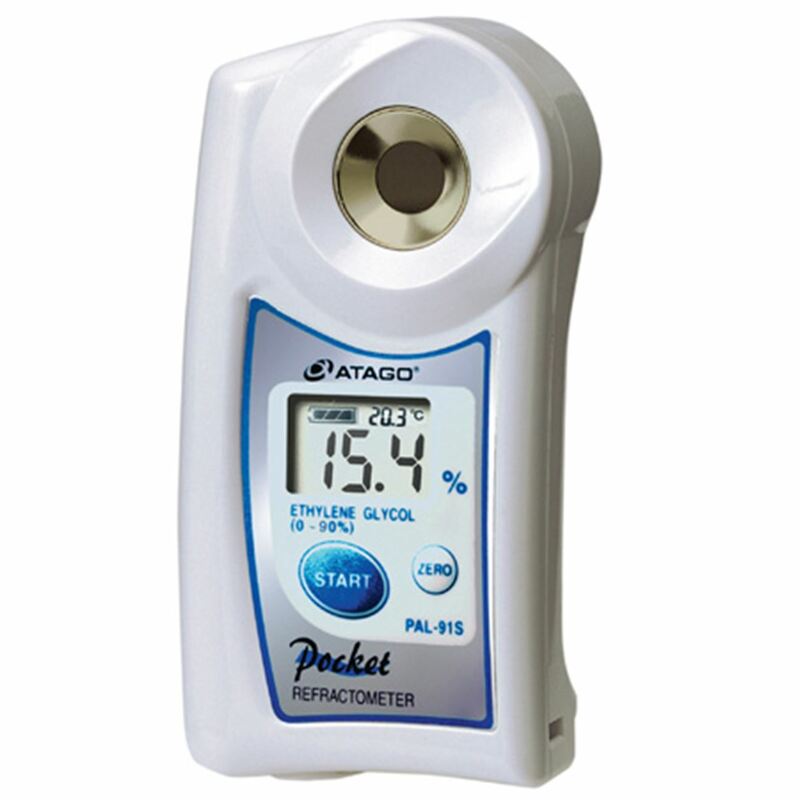 The "Pocket" coolant refractometer PAL-91S, easily measure the coolant in brine and other agents of Ethylene Glycol. Measured value displayed digitally. The freezing point of the sample can also be measured and displayed.